Parents are always looking for different sports that their children can get involved in.This is something as natural as the sun rising and the sun setting.A large amount of children are involved in some form of extracurricular activity. This can leave parents thinking a little out of the box, hence comes in kids and golfing.I think as golf has evolved many parents might be thinking maybe this may not be such a bad activity but at least see if my child enjoys it. A lot of parents probably think this is not an appropriate sport for kids to get involved in but I personally think it would be a great opportunity for kids to spread their wings and try something totally different. Kids playing golf has the ability to teach kids how to learn good sportsmanship, it teaches kids how to be logical, it teaches kids how to make good decisions when on the golf course and face circulations and how to handle them. It teaches kids how to get along with other kids and take turns playing. Golf for kids is also a great exercise regimen for them as the walking around a golf course would bring astronomical physical results. Kids learning to play golf in this day and age is a huge opportunity and so very appropriate for a kid today.The benefits are widely available for both boys and girls and parents should feel very confident in getting their kids into playing golf. However, before you jump to conclusions or try to force them into golf you really need to find out if they actually have any interest in the game itself. A lot of times a kid might need a little encouragement. It can be a very positive experience for any kid, but you need to find out if it is something that really interests them. Talk to your child find out what they feel about the situation and take it from there. In my opinion a good start would be the take them to a competition, whether it be a pro event, a college event or even a high school event at the local golf course. Let them feel up close the emotion and competition of a true golf event.To even drop it down a notch take them the a miniature golf and see how they react to that, it could give you a good gauge on how they feel about the game of golf. 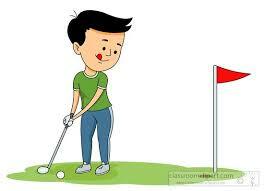 Kids Playing Golf – Lessons? 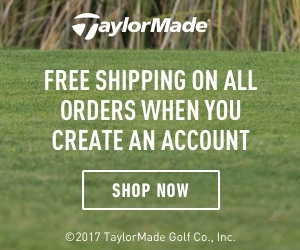 So yea, if your kid seems interested in learning how to the play this great game of golf, you may want to look for an instructor in your local area that has a reputation for being patient and good with teaching kids. 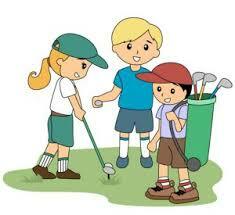 You will be very surprised as just how good a sport golf can be for kids. We have a heap of kids at our Club and they just love it. Unfortunately we don’t have an onsite coach so most of them are learning from other members as I am. They seem to really enjoy being with their friends and also being outdoors, I’m quite surprised at how non-competitive they are, it’s great to see. I’m just wondering how young do you think they could start playing? I reckon the youngest one at our Club might be 8 or 9. Well, i do not think there is a set age, i believe Tiger Woods was 5 when he first picked up a golf club, i guess it depends on your physical development and growth. I’m just glad that more kids are getting into golf. Thanks for your comment.